Rescue might just be the death of her. Far from home . . . Fiona Russell has been snatched from Earth, imprisoned and used as slave labor, but nothing about her abduction makes sense. When she's rescued by the Grih, she realizes there's a much bigger game in play than she could ever have imagined, and she's right in the middle of it. Far from safe . 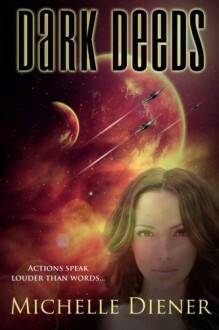 . . Battleship captain Hal Vakeri is chasing down pirates when he stumbles across a woman abducted from Earth. She's the second one the Grih have found in two months, and her presence is potentially explosive in the Grih's ongoing negotiations with their enemies, the Tecran. The Tecran and the Grih are on the cusp of war, and Fiona might just tip the balance. Far from done . . . Fiona has had to bide her time while she's been a prisoner, pretending to be less than she is, but when the chance comes for her to forge her own destiny in the new world she's found herself in, she grabs it with both hands. After all, actions speak louder than words.